Time-out, originally uploaded by Michael Mitchener. A sign of winter in the midst of our recent heatwave. This was taken at the rink at Jimmie Simpson park. 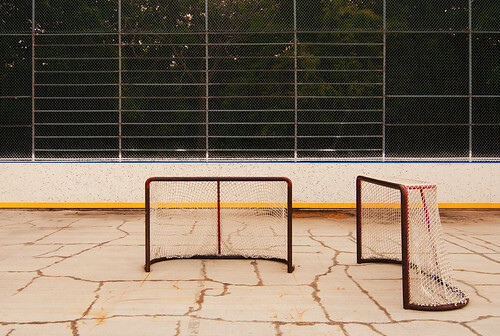 In the winter, this rink is constantly in use. In the summer, not so much but it lends itself to the odd picture or two.